For the most part, neither song was a “typical” Oasis song, jumping out of the gate with a big guitar hook and a mid-tempo stop, cheekily swaggering into an unforgettable chorus for the ages. “She is Love” was especially atypical, being mostly keyboard-driven, with only a speedily-played tambourine (and later on, handclaps!) for the rhythm. 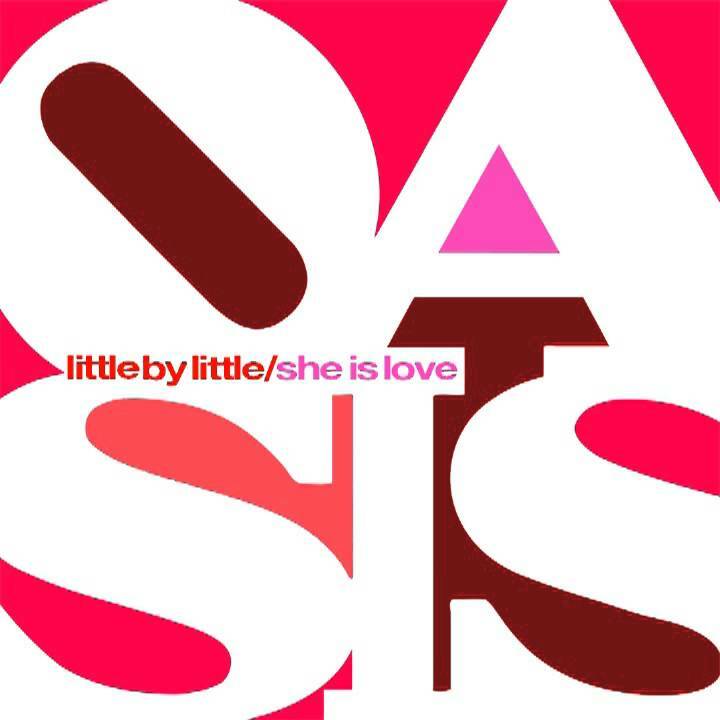 And as far as “Little by Little” goes, it’s one of those songs that starts off quietly — in the early verses Noel is singing in an almost hushed vocals over shimmering organ and acoustic guitar — but goes gigantic for the chorus, which is ostensibly about Noel’s eventual wife, Sara McDonald, but could also be addressed to his somewhat dwindling fanbase. “Somewhat” dwindling fanbase: here in the U.S., Heathen Chemistry didn’t get any radio play — the only Oasis album to not put at least one song on the U.S. Alternative chart — as we clearly had no time for them in the post-9/11 environment. Of course, that wasn’t the case in the U.K. where the “Little by Little” / “She is Love” single made it to #2, because there was never ever an Oasis backlash there, as far as I can determine. In any event, the chorus of “Little by Little” is the usual instantly and eternally memorable chorus, with the shift from his inside voice to his outside voice easily one of his best singing performances. Of course, because they almost never content to just leave a song alone, the second time around, the drumbeat picks up, and Noel adds some sizzling lead guitar that winds its way around the song, which gets switched up a bit when he asks us why he’s really here instead of the other way around, and if its not quite fully transcendent, it’s still pretty great.